The American Cancer Society estimates that more than 220,000 men will be diagnosed with prostate cancer in 2015. Around 1 in 7 men will be diagnosed during their lifetimes. This September, the RadNet Prostate MRI program encourages men to learn more about prostate cancer and their prostate cancer imaging options. Over the past several years, RadNet Prostate MRI has developed into one of the nation’s most robust private multiparametric MRI programs. Led by Co-Medical Directors Robert Princenthal, MD, and Martin Cohen, MD, the RadNet Prostate MRI program offers men experience, expertise and state-of-the-art technology. 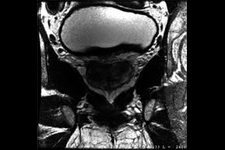 MRI has been used in prostate imaging since the 1990s. However, recent developments have allowed multiparametric MRI to emerge as a valuable diagnostic tool that can aid in prostate cancer detection and patient management. Dr. Princenthal and Dr. Cohen have played key roles in these developments. In 2009, Dr. Princenthal and Dr. Cohen partnered with medical device manufacturers to being testing multiparametric MRI in a clinical setting. Rolling Oaks Radiology in Thousand Oaks, California, a RadNet Prostate MRI site, was selected as a location for the testing of multiparametric MRI software and hardware. This participation helped to validate multiparametric MRI as an effective prostate imaging option and to spur additional developments in multiparametric MRI. Over the next several years, the RadNet Prostate MRI program expanded and now offers prostate MRI at 7 locations in Southern California. Dr. Princenthal and Dr. Cohen have combined to interpret more than 4,000 multiparametric MRI exams. Total number of multiparametric MRI exams performed at RadNet Prostate MRI centers have exceeded 150 in a single month. Since becoming involved at an early stage, Dr. Princenthal and Dr. Cohen have become strong advocates for an increased role for multiparametric MRI in prostate cancer screening and patient management. They have also aided efforts to improve multiparametric MRI interpretation and to educate both patients and physicians about the benefits of multiparametric MRI. Dr. Princenthal currently serves as a clinical consultant to GE Healthcare. This role recently brought him to Australia, where he was invited to deliver informational symposiums about multiparametric MRI to Australian physicians. He frequently discusses multiparametric MRI with local physicians and presents to patient cancer patient advocacy groups, as well. He is also a member of the AdMeTech Foundation Prostate Cancer Leadership Committee. In an effort to standardize the interpretation of multiparametric MRI exams, a joint steering committee organized by the American College of Radiology, AdMeTech Foundation and European Society of Urogenital Radiology recently introduced the Prostate Imaging Reporting and Data System (PI-RADS) Version-2. Dr. Cohen was a member of this steering committee. Despite the toll prostate cancer takes, awareness surrounding this disease pales in comparison to awareness surrounding breast cancer. For many men, it can be difficult to discuss their health and even more difficult to discuss their reproductive health. However, these are important discussions to have and they could save your life. This September, the RadNet Prostate MRI program encourages men to take a page from the women’s playbook and demand better prostate cancer screening and treatment. If you have questions about multiparametric MRI or prostate imaging, please contact us.